You must make on-time payments for at least a year and meet the lender's credit and income requirements on your own. A co-signer release lets your parent, relative or friend off the hook for your student loan once you prove you’re capable of making payments on your own. Most college students have limited credit history, so private student loans typically require that a co-signer share legal liability for the debt. About 92% of new undergraduate private student loans in 2017-18 were co-signed, according to the higher education data firm MeasureOne. If you have the opportunity to release your co-signer or be removed from a student loan you co-signed, seize it. Here’s how. If you qualify for a lower interest rate, student loan refinancing is generally the better option — it’ll remove your co-signer and save you money. You can refinance student loans in your own name if you have good credit, sufficient income and a track record of on-time payments. If you can’t get a better interest rate through student loan refinancing, or you want to avoid the hassle of comparing interest rates and switching lenders, pursue a co-signer release. Depending on the lender, you must make 12, 24, 36 or 48 on-time payments before applying for a co-signer release. Often, those payments must be consecutive and without periods of forbearance. If you made fixed or interest-only payments during school, those may not count. When you take out a student loan with a co-signer, you qualify based on their credit history and financial profile. To remove the co-signer, you must meet those requirements on your own. You’ll need good credit — a FICO score in the high 600s, at least — and enough income to afford your debt payments and other expenses. Most lenders also require that you graduate first and have U.S. citizenship or permanent resident status. 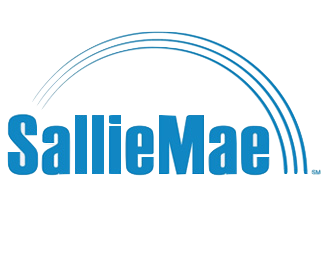 Some lenders and servicers, including Sallie Mae and Navient, have co-signer release applications available online. Otherwise, contact your lender or servicer to request one. You may need to disclose financial information including your income, housing payment and other debt payments. Your lender may also check your credit report and ask for income verification. The first 24 consecutive payments. The most recent 24 consecutive payments, after at least half of the schedule payment period has elapsed. The most recent 12 payments. The first 24 consecutive payments, or 48 consecutive payments if the first payment wasn't on time. 12 to 36 consecutive payments, depending on the lender. Available after 36 on-time, monthly principal & interest payments. It’s possible to apply for student loan refinancing with a co-signer. Some student loan refinance lenders — including CommonBond, Laurel Road and PenFed — offer co-signer release. But other refinance lenders, such as SoFi and Earnest, don’t.